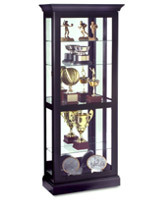 This Display Cabinet Has a Glass Front Door That Slides Both Ways and No Reach Halogen Lighting! 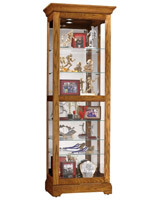 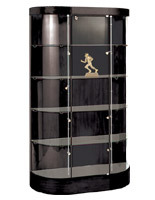 This Display Cabinet Is a Curio Cabinet in Cherry Wood Finish! 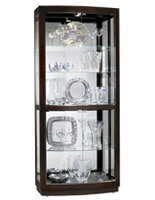 This Display Cabinet Is For Sale! 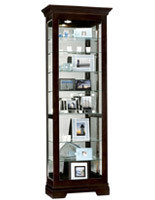 This display cabinet is ideal for exhibiting precious family collectibles. 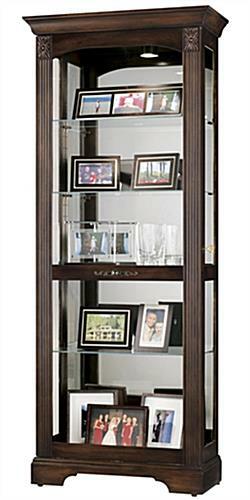 It incorporates reeded columns and decorative top corner overlays. 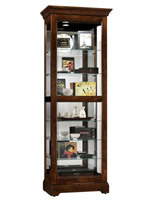 A somewhat distressed Hampton Cherry finish gives the curio cabinet a country home mood.